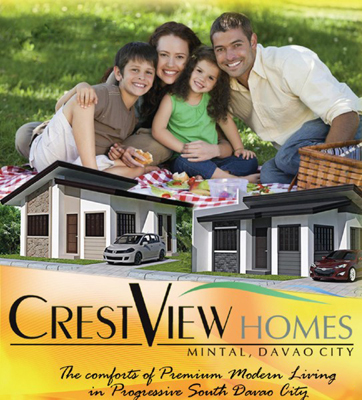 CrestView Homes offers Lot Only package aside from its House and Lot Package. CrestView Homes is a new low cost subdivision project by Urbaneast Development, Inc. The project is located at Mintal, Davao City. The subdivision has four affordable models to choose from namely Diantha A (Single Attached), Diantha B (Single Detached), Helena A (Single Attached), and Helena B (Single Detached). Aside from the 4 model house mentioned, buyers can also purchase LOT ONLY at CrestView Homes. Payment schemes are In-House Financing and Pag-Ibig Financing.